We stocked black bullheads in some Nebraska waters this week. That statement has resulted in shock and panic among some, so let me explain. Yes, bullheads can be a problem in some waters when they over-populate and dominate the fish community. I have seen some small ponds where there were literally so many small bullheads that they kept the water stirred up and muddy all the time. There were few if any other fish present in those waters. 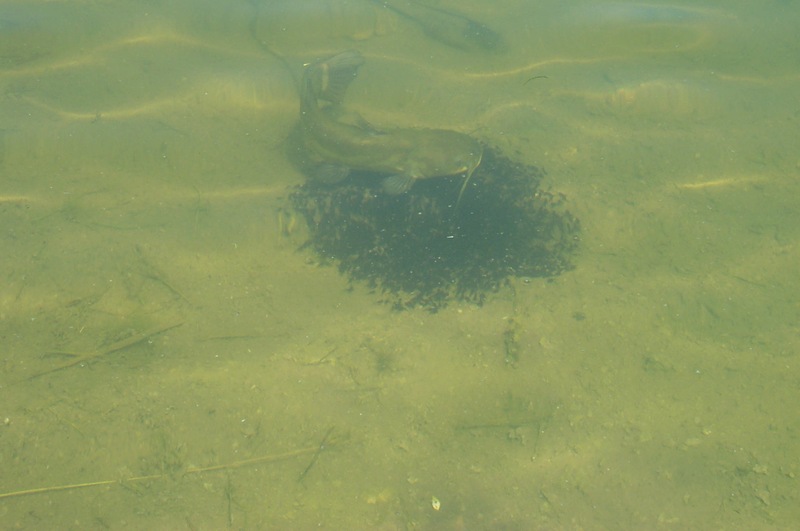 Bullheads are not a problem in any waters where we have healthy populations of predator fish. You would think with their sharp spines that nothing would like to eat small bullheads, but actually exactly the opposite is true–predator fish of all kinds, bass, walleyes, pike, catfish, they all LOVE small bullheads. 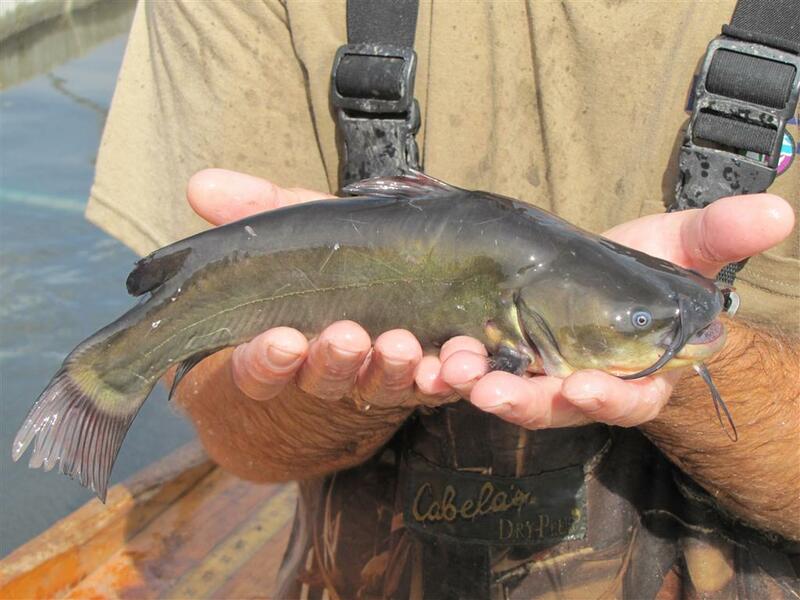 Black bullheads are not a nuisance or fisheries management problem unless there is poor water quality and other sport fish are having a hard time surviving in those waters in the first place. Regardless, there have been some folks question our pointy-headed, fisheries biologist sanity for intentionally stocking bullheads. Why would we do that? Well, I will tell you. 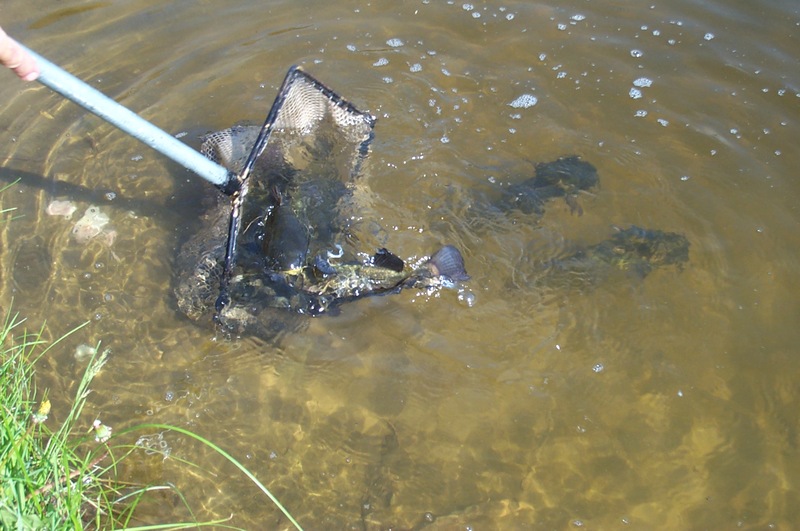 We stocked catchable-size bullheads in four small pits on heavily-used State Recreation Areas (SRAs); Louisville Lake #2A, Fremont Lake #3, and Two Rivers lakes #6 (i.e. the carp lake) and #7. The pits that were stocked are just one of the pits on those respective SRAs. Other pits on those SRAs offer a variety of fishing opportunities for a variety of other species of fish, but we have folks who actually want to have some opportunities to catch bullheads as well. 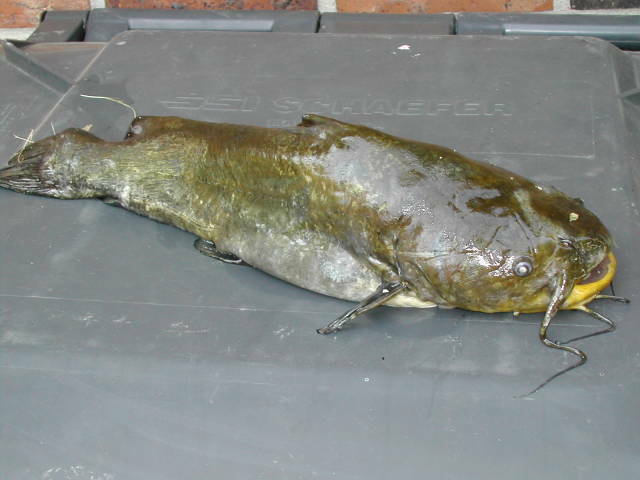 The bullheads we stocked this week were 9-10 inches long and were stocked intentionally so folks could go catch ’em! Yep, I am talking about put-and-take bullhead stockings. Bullheads are relatively easy to catch and many an angler started their fishing career catching species like sunfish and bullheads. We stocked bullheads this week so families, kids, beginners could get out to those SRAs here at the end of summer and catch some fish! By stocking bullheads we will get some kids hooked on fishing, and that is exactly why we stocked those fish! You can find some other recommendations on bullhead fishing spots here, http://outdoornebraska.ne.gov/fishing/pdfs/FishForecast.pdf , and I made some additional comments on the bullhead fishing at those SRAs in a previous blog post, https://barbsandbacklashes.wordpress.com/2009/08/31/bullheads-anyone/ . So, if we are stocking bullheads, where did they come from? Well, we raised them in a hatchery! Now we do not have a lot of time and money invested in bullhead production, but we do some just to have catchable-size bullheads to stock in the SRA waters I have already mentioned. Our Valentine State Fish Hatchery produced the bullheads that were stocked this week. 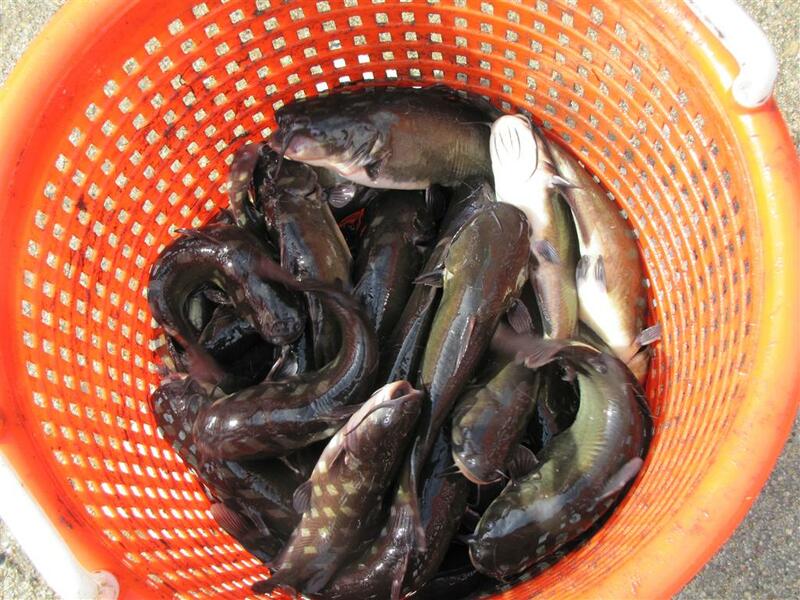 In a fish hatchery, bullhead production begins by introducing some adult brood fish into a hatchery pond. The male and female bullheads then do what male and female bullheads do, and soon we have swarms of baby bullheads swimming around. One of the proud parents escorting their brood. And then would you believe those little bullheads are trained to eat artificial feed? 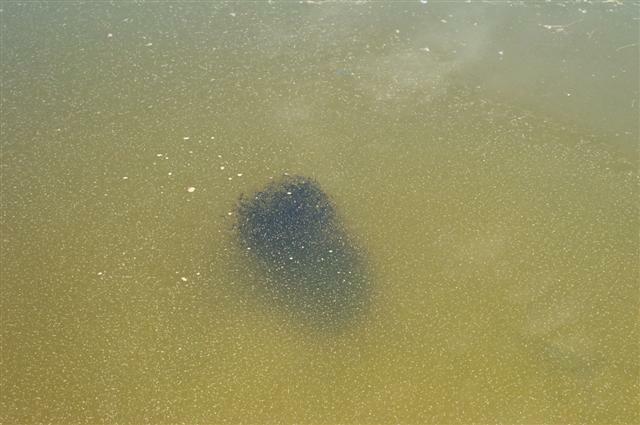 A swarm of small bullheads feeding on starter feed. The young bullheads are little piggies and grow at a phenomenal rate. It takes a little over a year to grow them to the 9-10-inch size at which they are stocked in the SRA pits. The bullheads are “harvested” from the ponds when they have reached stocking size, loaded on stocking trucks, and shipped to their stocking destination. Thanks to Dana Krueger and the rest of the Valentine Hatchery crew for the photos. We have a great bunch of professionals that work in all of our state fish hatcheries. The guys are all very good at producing fish and very proud of what they do! They also enjoy their work! 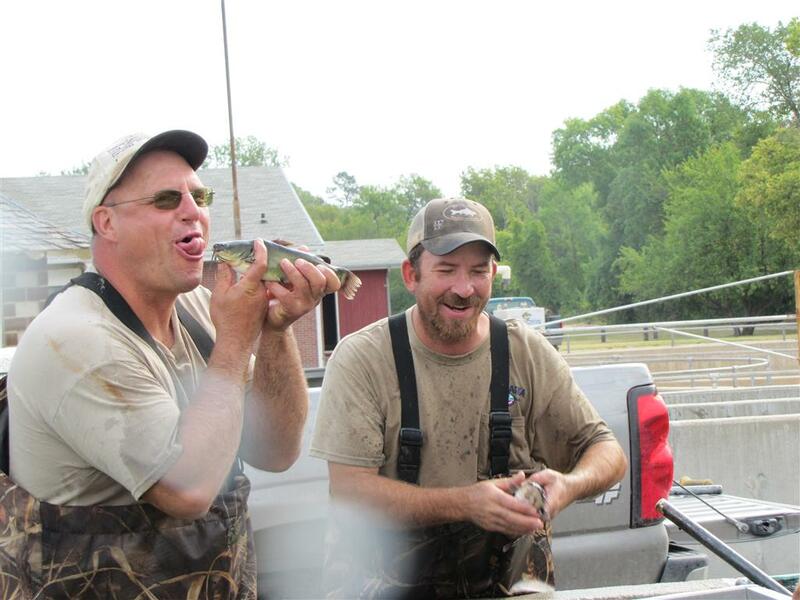 Dana and Zach Brashears hamming it up, probably after hauling pounds of bullheads from the ponds. And now I am fairly certain they will never again send any photos to me after I shared that one with you. Apparently Dana is one of those folks who can curl his tongue. Thanks Daryl!! Now the whole world knows my tongue isn’t as long as Gene Simmons’. Payback is coming my friend, someday!!! I, for one, am pleased as punch to hear that you have been stocking bullheads. Despite their ugly appearance, I’ve found that their fillets make excellent nuggets. I just weant to say thanks. Hopefully you will be able to stock some in the Custer County lakes. Thanks again. Louisville #2A and they caught fish by the dozens. They are 7 and 9 and they will remember this day a long time and I am sure they will fish the rest of their lives. We released everything we caught but we took pictures of them all. And that is EXACTLY why we stock those bullheads. I drove by Two Rivers over the weekend and saw LOTS of families and kids fishing the two pits where the bullheads had been stocked there! Thank you for taking your grandsons fishing! Glad you caught fish!